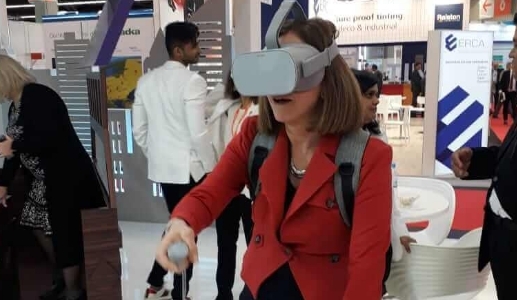 Soujanya Color collaborated with GoPhygital for the first time in early 2018 when they were looking for a reliable immersive tech partner who could create an Augmented Reality experience as part of a re-launch of their revamped brand identity at PAINTINDIA 2018. 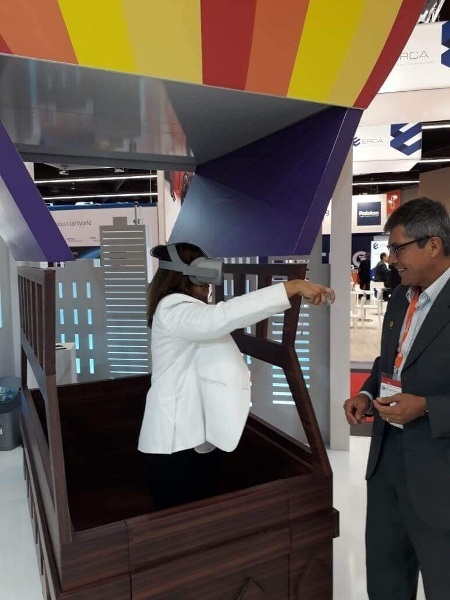 The AR experience received much acclaim and soon after both the teams started discussing how they can explore Virtual Reality to build enhanced user engagement experiences. 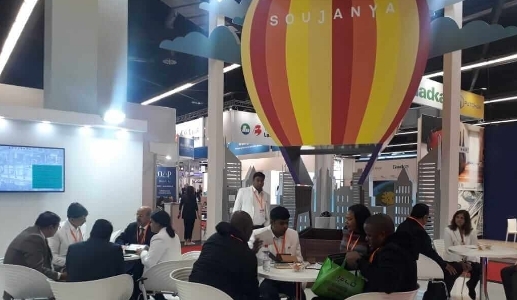 As a part of their global expansion strategy, Soujanya Color was participating as an exhibitor in the European Coating Show 2019 which is the biggest and most important event in the world for the coatings industry. Organized every two years, the event set new records in 2017 with 1,135 exhibitors – 10.84 % growth. 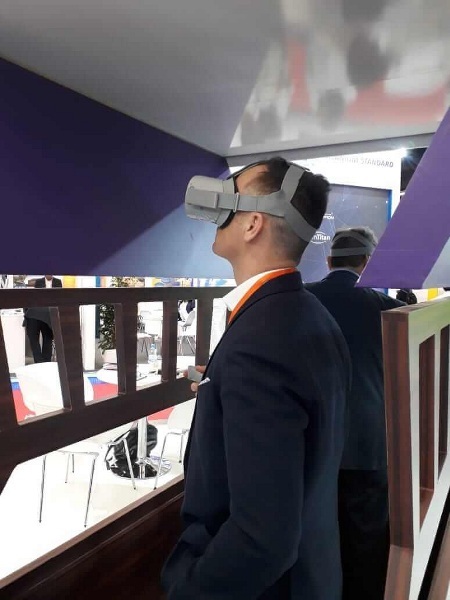 The very large international share of 68% for exhibitors and 64% for visitors also emphasizes the importance of the European Coatings Show as the world’s leading exhibition. 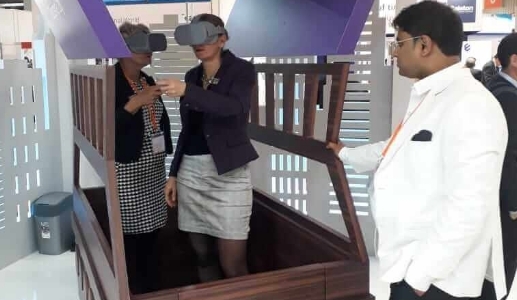 This also meant that the customer engagement and experience strategy for Soujanya Color had to be an impact creating one. 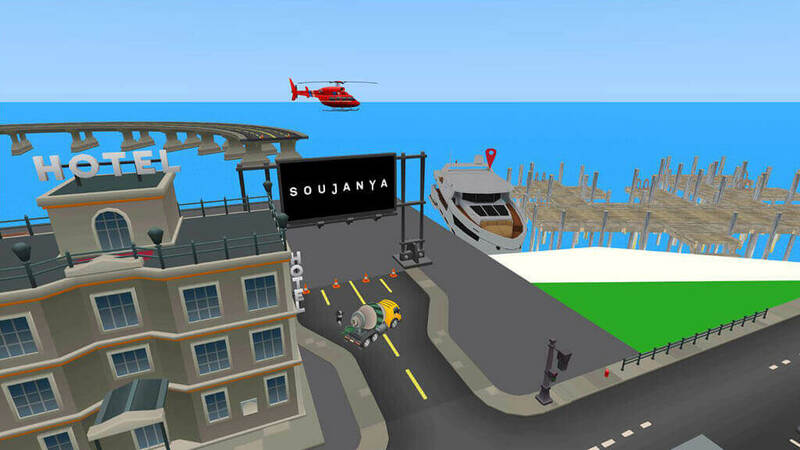 Considering that the colorants and pigments used by Soujanya are used in every facet of life in the day to day objects that a person interacts with, like soaps, cosmetics, cars, wooden furniture etc., Soujanya wanted a solution leveraging immersive technology like Augmented Reality and / or Virtual Reality to showcase their value proposition. 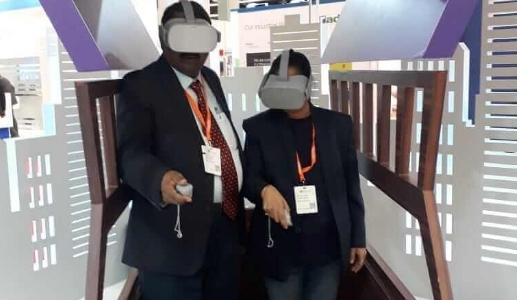 In addition to the immersive tech solution that Soujanya Color was looking for, they had two more problem statements which they wanted addressed; 1) the design of the exhibition booth had to stand out such that it attracted visitors and 2) the VR experience had to be wireless so that people were not inconvenienced and/or got tangled with the cables and wires. 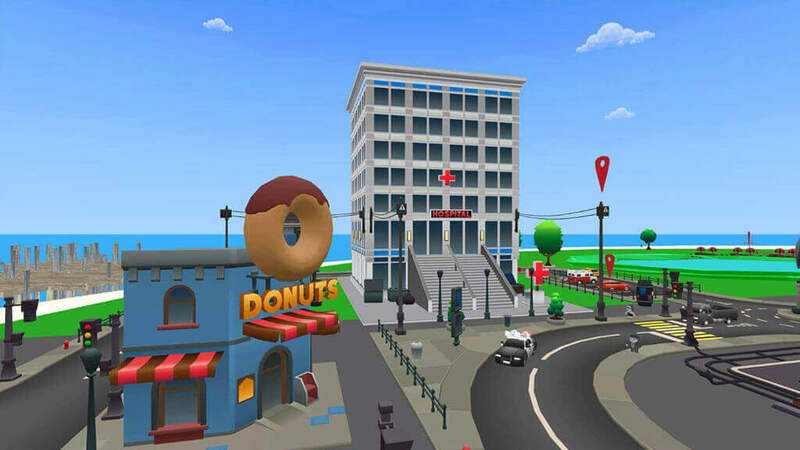 The GoPhygital team proposed a Phygital solution which addressed all their concern areas. 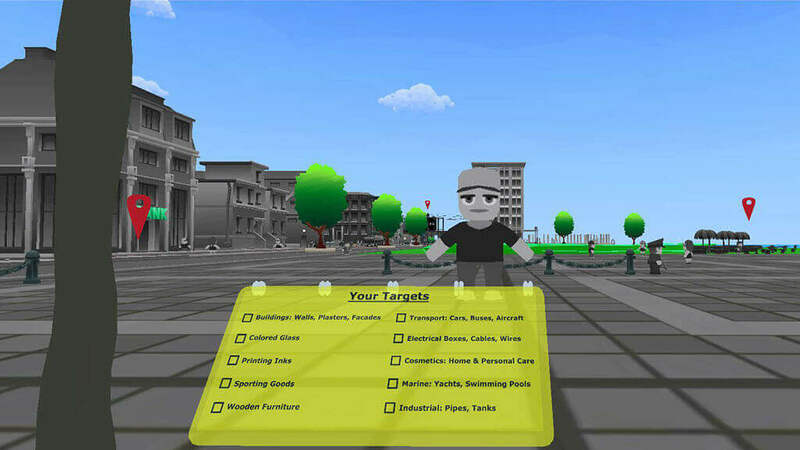 Considering that the client wanted to convey how their product is an integral part of day to day objects that people use and interact with in their daily lives, GoPhygital suggested a concept which involved the user flying over a city which was devoid of any colour and started getting coloured as the user flew through it. 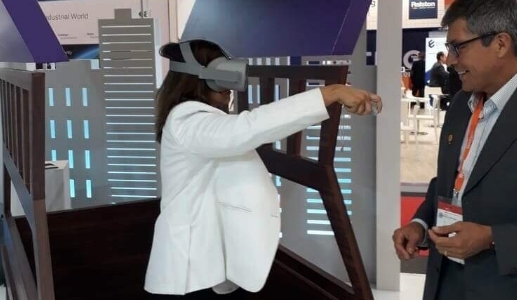 After a bit of brainstorming, the GoPhygital team zeroed in on a concept which was both fun and immersive and met all the requirements of the client, a VR based game. 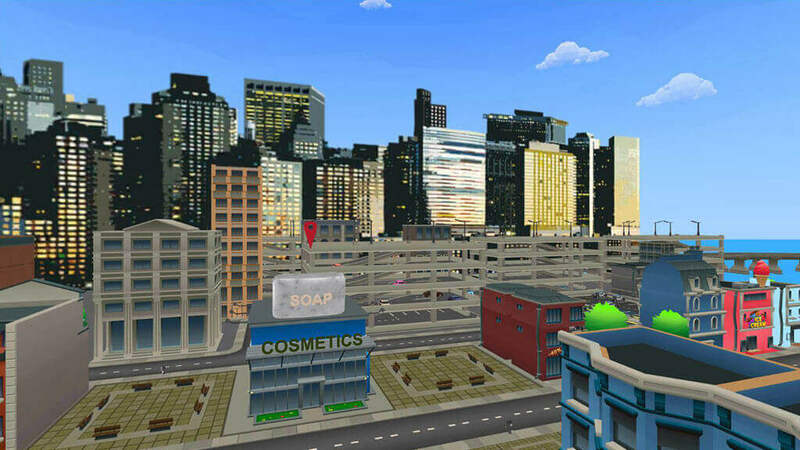 The concept of the game was that the player took a hot air balloon ride over a black and white city, and had to throw Soujanya Color balls at strategic locations while flying over the city, to make the city colourful. 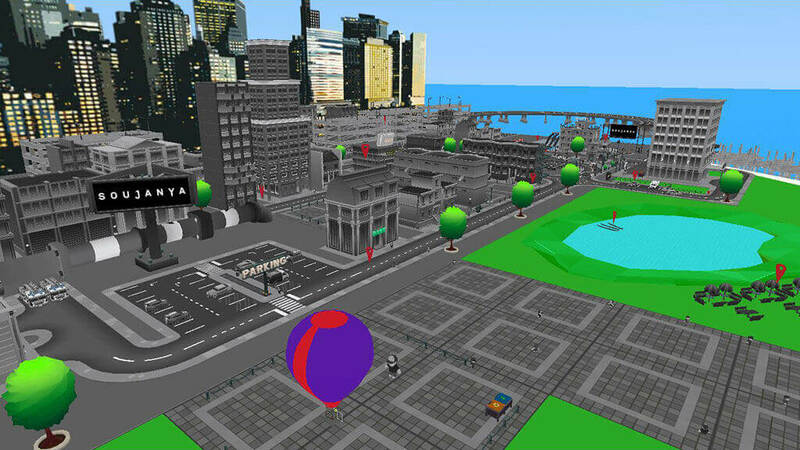 The hot air balloon was chosen as the vehicle of flight since it is usually both colourful and has a slower pace as compared to a plane which gave the player enough time to observe the city, throw the balls to colour it and most importantly, not feel dizzy while doing it since that combined with motion sickness is one of the most common concerns in any VR simulation. 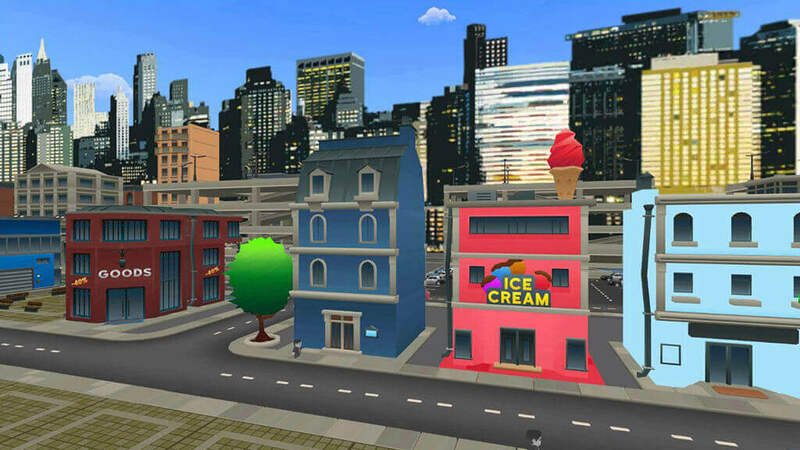 The gameplay was simple yet fun. 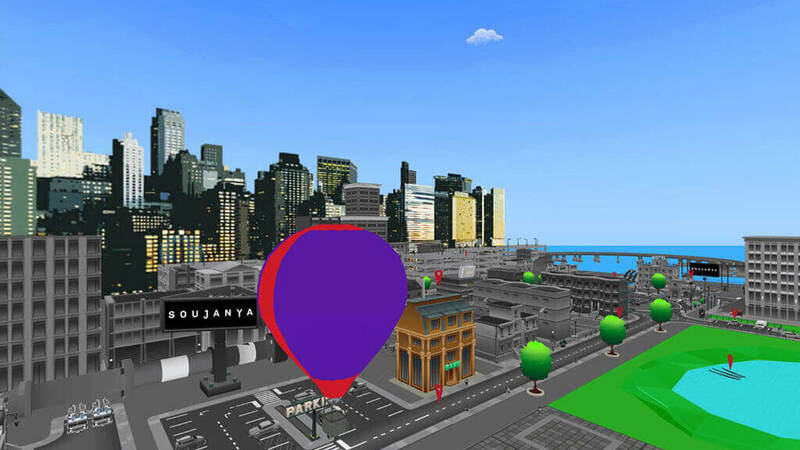 Throw the Soujanya Color balls on 10 different locations across the city to color them in the given time before the hot air balloon ride ends. 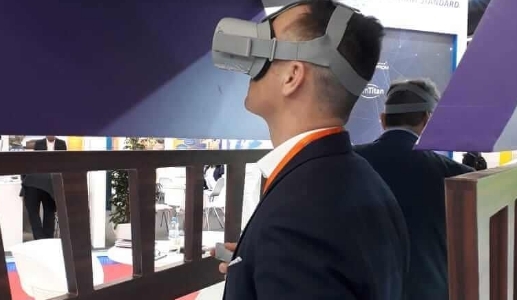 The Oculus Go was the ideal choice for this game as it is lightweight, portable, standalone, and wireless VR headset. 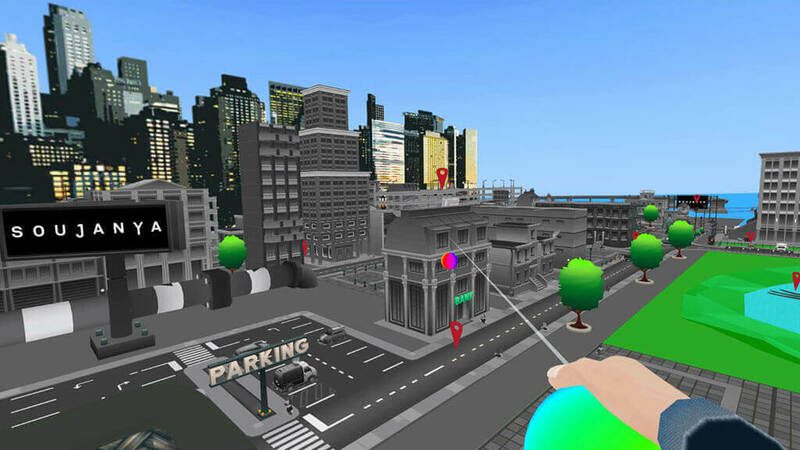 The game controls were intuitive where the player had to point and click the Oculus Go controller in the relevant direction to shoot the colored balls. 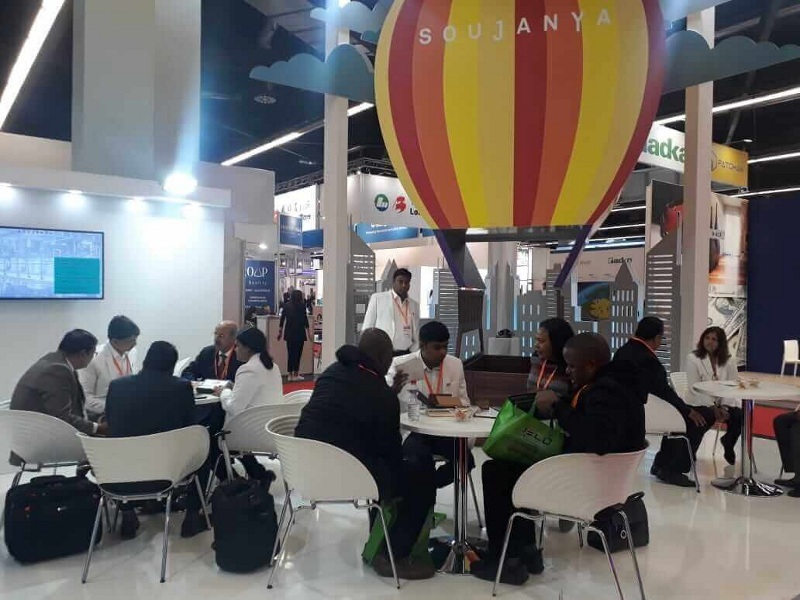 To offer a complete Phygital experience to booth visitors, GoPhygital also suggested to the Soujanya Color team that they should have a hot air balloon basket in the middle of their booth with ideally a hot air balloon over it. 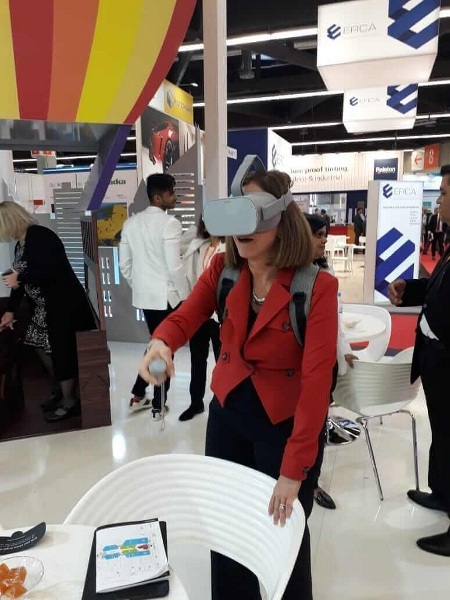 The booth visitor had to step inside the hot air balloon basket and wear the Oculus Go to play the game there by transporting the booth visitor from a physical environment of a hot air balloon to a VR simulation of it. 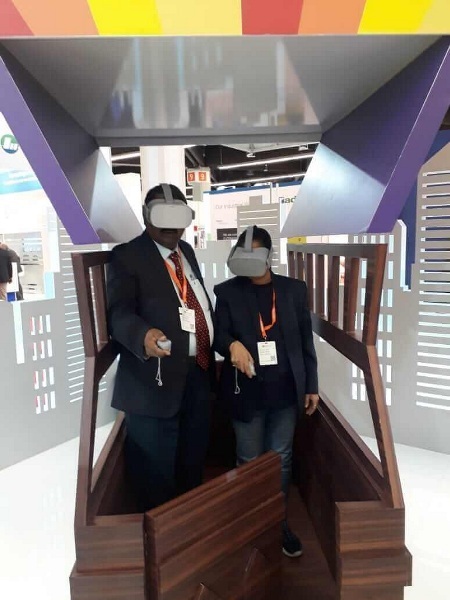 The client loved the idea and instructed their exhibition booth designers to implement the same. 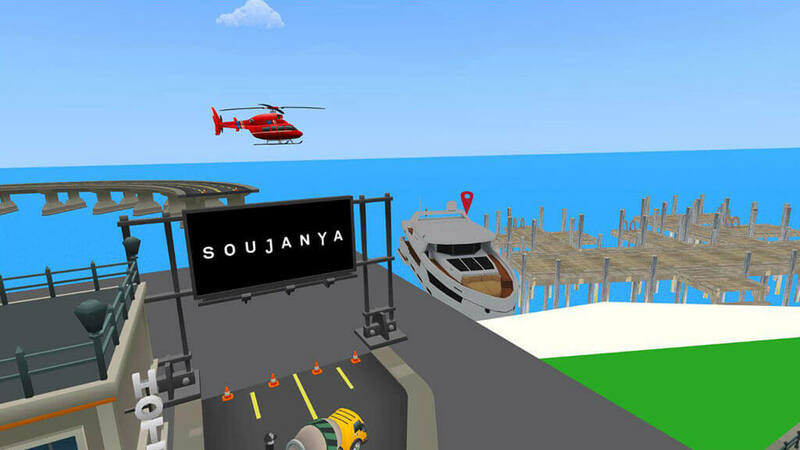 Soujanya Color effectively conveyed their brand promise and established themselves as a thought leader in their domain by partnering with GoPhygital to develop immersive AR and VR experiences and are now looking to take the experiences and the association to the next level. Keep watching this space for more details!